CRISP and ORACLE are jointly offering Professional level training and certifications, which are mandatory for professional Database Designers, Developers and Administrators. Accelerate your skills with quality Oracle training from CRISP." Avail exclusive discou nts on all the course modules and on each certification exam. Trained more than 500 students on ORACLE - on real-time Production Environments. Excellent placement record of ORACLE trained students. 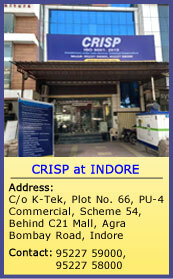 Professionals from Corporate Industries gets themselves updated through advanced hands-on trainings in CRISP.